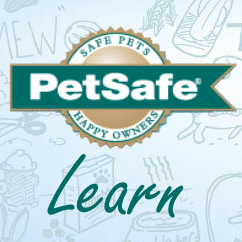 Michelle is the Training and Behavior Education Manager for PetSafe® brand. She is a Karen Pryor Academy Certified Training Partner, a Certified Professional Dog Trainer and TAGTeach Primary Level Certified. Michelle is proud to be a graduate of the Karen Pryor Academy Dog Trainer Professional Program, a challenging 6-month clicker training course that produces dog trainers that demonstrate a high level of excellence. Her education also includes Purdue University’s DOGS Course, University of Richmond’s Canine Logic and Advanced Canine Logic courses, Ken Ramirez’s Professional Animal Training Seminar, and hundreds of hours of seminars and workshops. Michelle believes continuing to seek out advanced education in her field provides her clients, both human and canine, the best training available. Michelle contributes to the PetSafe team by providing expertise in training and behavior for new product development as well as education and training presentations for PetSafe associates, retail partners, tradeshows, veterinary clinics and schools, animal shelters, and community groups. In addition to her work at PetSafe, Michelle does private in-home pet training with a focus clicker training and foundation skills as solutions, new puppy/dog consults, and basic manners. Clicker training can be used across species, and Michelle has trained dogs, cats, horses, and even chickens. All her work has the goal of developing long, enriching relationships between pets and their people. Michelle wants to teach people to communicate with and train their pets while developing the skills they can apply to all future pets. Working with each animal and pet parent to ensure their environment is enriched with variety including great training, toys, and activities is her passion. Michelle shares her life with her husband of 22 years and two wonderful dogs. She has participated in rally, agility, tricks, and tracking with her dogs. She loves finding which activities each dog enjoys and fosters their talents. Pets love holidays, too! Help your furry family members enjoy the holiday season. Training a dog takes patience and practice. Training a dog who is deaf can be even more challenging. They can do all the same activities a hearing dog can do; the training just needs some modification to work for them! Are you a doggie mind reader? What's your dog thinking when you kiss him on the cheek or pet his head? You might be in for a surprise. 77% of dog bites to children come from the family dog or a friend’s dog. Let's turn that 77 to 0! How do you train an independent, confident dog who doesn't always look to you for guidance? Is your dog ready for his big day at the dog park? Teach him good park manners with these socialization steps. Teaching your dog these top 5 dog tricks are super easy with trainer Michelle Mullins' help. Our customers are the best. I love hearing their amazing stories that make me proud to work for such a great company. Some of the most dangerous items in your home are household cleaning supplies. The same products we use to keep our homes clean are often poisonous to our pets. I’ll bet you could use a change of pace! Training your pet can be just the thing you need. What is the best way to reward your pet this holiday season? What is the best chew toy for your dog? It depends on so many factors and seems confusing with all the choices out there. That is why our Busy Buddy® Line has a variety of chew toys. It provides many choices so you can find the right toys for your chew hound! I’d like to try to help you out with this one since I know a little about dog toys. Let’s start by figuring out what we know about your dog. The holiday season continues as we finish out the year. I have some additional tips to share on decorations and gifts that are fun and safe for your four-legged family members. The holidays often bring lots of visitors to your home. Whether you are having a holiday party or just entertaining a few guests, pets can find the situation overwhelming and become anxious or frightened. Consider your pets when planning holiday get-togethers and plan the most effective, least stressful ways for you and your pet to manage the event. One of the most common issues I hear about with the Gentle Leader is dogs don’t like to wear it. They paw at it, rub their snouts along the ground and can’t wait to get it off. This can be a huge problem if your dog is a puller and you need the help a Gentle Leader can provide. The good news is you can change your dog’s reaction to the Gentle Leader. I’m going to talk to the ladies for a moment – Remember back in the day when you put on that first bra? Most of us are familiar with using positive reinforcement with our pets to teach behaviors we want, such as sit, stay and even “tricks” like roll over or shake. This positive reinforcement, be it a treat, a favorite toy or just a belly rub lets the dog know we like what they have done. Pretty simple, huh? However, how often do we think of using positive reinforcement for other relationships? I have a cause. Well, several causes actually, which are very important to me. I’m sure you probably do as well. I donate to my favorites, and even brought a couple of those with four legs home with me, but I was recently inspired to do more. It appears I have my act together as far as training is concerned. However, sometimes when I’m writing a tip or educating someone on the phone I pause and think to myself, “Michelle, do you ever do that?” or “I wish I was that consistent.” So I must confess I am not a perfect trainer. Last week you left me and Brisbane just as we were feeling lost and unsure. Fortunately we found our way… My dear friend and trainer, Janet, came to my rescue. She helped me realize I needed to find my own confidence and “happy place” and suggested "Bones Would Rain from the Sky" by Suzanne Clothier. Talk about a map to help you find your way; this book changed the way I thought about myself and about my friend, Brisbane. Janet had, again, led me to the knowledge I needed, and her guidance gave me the insight to find a path Brisbane and I could walk together. Many years later my husband and I were ready for a dog of our own. A local rescue contacted us about a very young puppy and an hour later, I was holding the puppy of my dreams. He was an adorable, odd eyed, blue merle, ball of energy. But boy, did he have some problems! I have now been to chicken training camp twice, with trainer Terry Ryan of Legacy Canine Behavior and Training. I have not become an expert chicken trainer. My timing, when clicker training a chicken, is not perfect and I don’t always set my criteria well. So what did I accomplish by training chickens you might ask? More than I could have hoped for!